Most recently the Democratic candidate for Washington Secretary of State, Tina Podlodowski is the daughter of two naturalized U.S. citizens who fled post-WWII Europe as refugees. As a first generation American and lifelong Democrat, Tina has spent her life fighting for equality and leading in the LGBTQ community nationally. Tina’s 30+ years of leadership in technology, government and management has saved taxpayers millions of dollars, improved public safety and health, and revolutionized technology. Tina has closely worked on over 50 different initiative and candidate campaigns locally and nationally. She has the skills and smarts we need in a new party chair. After a career as an executive at Microsoft, Tina won an at-large seat on the Seattle City Council with 65% of the popular vote. On council she championed new civil rights legislation, created the first civilian oversight of the police department, and pioneered in-district council meetings to engage a more diverse group of constituents in decision-making. From there she revitalized two regional non-profit organizations – Big Brothers and Big Sisters of Puget Sound and the Lifelong AIDS Alliance – via marketing and re-branding, multi-million dollar fundraising campaigns, and the training and utilization of thousands of volunteers to successfully function. As a senior vice-president at Porter Novelli, a global network of communications professionals, Tina led national efforts to improve public health and safety. Her work with stakeholders at all levels of government drove forward progress on environmental justice, women’s health, HIV/AIDS and childhood immunizations. Her clients included the Centers for Disease Control, Office of Women’s Health, Medicare, ASTHO and NACCHO. After the tragic Sandy Hook Elementary shooting, Tina was a founder of the Washington Alliance for Gun Responsibility, dedicated to keeping all of us and our children safe from gun violence. WAGR successfully enacted sensible gun background check legislation with the passage of I-594 in 2014, and Extreme Risk protection orders in 2016. Tina’s strong belief in equality for all guided her work in leadership roles with Washington Citizens for Fairness, the Pride Foundation, The Human Rights Campaign, The Victory Fund, The Task Force and LPAC. 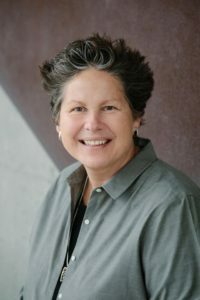 She is a former member of the Visiting Committee at the Evans School of Public Affairs at the University of Washington. She was the first LGBTQ member of the DNC Platform Committee in 2000, adding “planks” on civil rights and social justice. She was awarded the “Spirit Award” from the Urban League of Metropolitan Seattle for her accomplishments in engaging diverse communities. Her political and philanthropic work has been profiled in The New York Times, The Washington Post, People, and Vanity Fair. Tina, her wife and three children live in Seattle.